USA box demand 'back in growth mode again' with a major boost from e-commerce | Planet Paper Box Group Inc.
After remaining relatively flat for the past 15 years, the US corrugated box industry is “in a growth mode again,” former International Paper (IP) Sr VP Bill Hoel told the recent Fibre Box Association (FBA) annual meeting in San Francisco. One reason for this growth is e-commerce, which presents both a “tremendous opportunity” and also a major challenge for the industry, according to a panel discussion. Hoel, who recently retired as head of the IP Americas container operations, noted that the industry has remained “very vibrant” over the past 15 years, despite many competitive pressures, including two recessions, shifts in manufacturing offshore, changes in consumer behavior, competition from plastics, and a consolidating customer base. US box shipments in 2016 of 376 billion ft2were about the same level 15 years ago at 380 billion ft2in 2002 (and down from an all-time peak of 405 billion ft2in 1999 just before the previous recession). But in the past year, box shipment growth picked up, rising 2.1% in 2016, compared with 1.2% growth in 2015 and 2014, and no growth in 2013, according to FBA statistics. Shipments this year through April were up 2.3% from a year ago, blending actual and average-week statistics. Growing productivity.Over the last 15 years, “there have been huge advances in the scale and productivity of our box plants,” Hoel noted, suggesting one of the strengths of the US corrugated industry. This has led to “concentration” in the industry, with the number of companies with corrugators declining from 129 in 2000 to 90 in 2016. At the same time, average volume per company increased from 3.1 billion ft2in 2000 to 4.2 billion ft2in 2016. Average corrugator plant production increased from about 660 million ft2in 1995 to over 1 billion ft2in 2016 – about 50% growth in scale. Corrugator widths have increased from 87 in. in the late 1990s to 98 in. in the first half of the 2000 decade, to 110 in. in the second half, with some 130-in. corrugators now being installed. “Kicks per minute” (number of boxes) for flexo-folder-gluers have increased from about 250 in the late 1990s to about 400 today. Changing end-use customer mix.Hoel indicated that there have been significant shifts in the end-use sectors for US corrugated box shipments. Despite recent sluggish growth, processed foods in 2015 accounted for 27% of the industry’s box mix, up from 22% in 1995. Fresh foods held steady at 16% in 2015. The biggest decline was in durable goods, which was at a 9% share in 2015 that was down from 19% in 1995, reflecting the shift in US manufacturing offshore during this period, Hoel noted. Paper and publishing also showed a big decline as an end-use for boxes, dropping from 23% to 12%. Distribution/e-commerce showed the fastest growth, increasing to 12% of the US box market mix in 2015 from 1% in 1995, with e-commerce playing an increasingly important role in driving box shipments. New trends in consumer behavior.Among factors driving changes in consumer behavior are ordering products from mobile phones, which didn’t exist 15 years ago, free and fast shipping from e-retailers like Amazon, interest in healthy and fresh food choices, and growing demands for social responsibility, Hoel noted. These trends will likely continue in the future because of increased buying power of millennials. Customer expectations are evolving in a new environment of “nonstop connectivity,” where “convenience is king,” and same-day delivery may become normal. Growing impact of e-commerce.In a panel discussion moderated by FBA VP Rachel Kenyon, four speakers described the growing impact of e-commerce on the North American corrugated industry. During the period 2005-2015, e-commerce grew 430% compared with 30% growth in total US retail sales, according to Freedonia Custom Research Sr dir Daniel Meges. Freedonia Custom Research was recently acquired by marketresearch.com. “Nevertheless, e-commerce still only represents about 5.5% of all US retail sales, but is likely to account for more than 10% of all retail sales by 2025,” he noted. E-commerce is expected to grow at a 10% annual rate from 2015-2025, up 16%/yr from 2005-2010, according to a recent Freedonia study. This compares with about 3% growth in total retail sales. “Double-digit growth rates for e-commerce look likely to continue for at least the next decade,” Meges said. Amazon Prime membership, a major driver for this growth, surged 75%/yr from 2011 to reach about 66 million members in 2016 – about half of US households, even though Amazon Prime only launched in 2006. Amazon’s overall sales have grown from $2.8 billion in 2000 to $107 billion in 2015. E-box demand$1 billion by 2020?E-commerce packaging demand is forecast to grow from $2.5 billion in 2015 to $3.7 billion by 2020 and $5.4 billion by 2025. This would be up from only $1.5 billion in 2010, according to a recent Freedonia study. Corrugated boxes will become the largest component of e-commerce packaging demand, rising from $680 million in 2015 to $980 million in 2020 and nearly $1.7 billion in 2025, according to Meges. Boxes will account for 30% of overall e-commerce packaging demand by 2020, with protective packaging, mailers, and other packaging consisting of the balance. Protective packaging totaled an estimated $710 million in 2015 consisting of air pillows ($305 million), bubble packaging ($155 million), paper fill ($70 million), loose fill ($65 million), and other packaging ($115 million). Paper fill was forecast to reach $110 million by 2025. “Nearly two-thirds of boxes are purchased by traditional online retailers (such as Amazon) or 3PLs (third-party logistics suppliers) that are servicing the e-commerce industry,” Meges noted. Bricks and mortar retailers will account for about 20% of demand through their online activities, Freedonia estimates. “Three of the top five product categories – computers/electronics, home furnishings, and recreational goods – are all incredibly conducive to corrugated products,” according to Meges. Over the 2015-2020 period, packaging demand is set to grow the most rapidly in apparel and food/beverage. Grocery buying ‘disrupter.’“E-commerce is a major disrupter to the way Americans buy groceries, as the share of online grocery purchases is growing three times that of traditional grocery channels,” he said. Food and beverage e-commerce is expected to grow by more than 10%/yr over the 2015-2020 period, while in-store sales at traditional grocery stores are likely to grow less than 3% annually over the same period. There is a significant growth opportunity because food and beverage only represents 4% of all e-commerce sales and e-commerce only accounts for 5% of total retail sales. In 2016, only about 20% of US shoppers bought groceries via an online channel, he said. Shipping fresh and perishable food is a special challenge, however, because of refrigeration, a couple of panelists noted. “Cross-border supply chains will be increasingly common, and packaging will need to accommodate more diverse climate zones. Corrugated may increasingly find itself as the key ‘brand ambassador’ packaging medium,” Meges said. Traditional store bubble bursting.E-commerce has been growing at an “exponential” rate and is expected to grow from around $400 billion today to $600 billion by 2020, according to former Walmart mgr and Vanguard Packaging marketing dir for retail ready packaging Chet Rutledge. Rutledge said that about one-third of online purchases are now made using smart phones, and social media provides consumers with immediate feedback. Meanwhile, the traditional retail store bubble is bursting, with 21 retailers planning to close 3,591 stores in 2017, according to a recentForbesarticle. More product categories are moving on line and there is an increased assortment of products. Walmart.com has 30 million items available online vs 150,000 for a normal company supercenter, Rutledge noted. More complex supply chain.E-commerce (supplier/fulfillment center/sort center/parcel delivery/customer) requires a much more complex supply chain than the traditional retail store channel (supplier/warehouse/store), speakers said. For example, the return rate is 20-30% for e-commerce purchases compared with 8-9% for brick and mortar stores, meaning boxes must meet “reverse logistics” requirements. Amazon is using 40-60 different sized boxes for shipping products with the goal of offering customers “frustration-free packaging” that is easy to open and 100% recyclable. Packaging must be “right-sized to reduce dimensional weight or cube size in freight and be sustainable,” according to Rutledge. With boxes going directly to consumers’ homes, recovery of old corrugated (OCC) will become more of a challenge, he noted. By contrast, retail brick and mortar stores have a 93-95% recovery, with everything going to the store’s backroom baler. Developing new standards.The evolving retail supply chain and its effect on package design was the topic of International Safe Transit Association (ISTA) pres A.J. Gruber. “Traditional retail packaging is not sufficient for ‘direct’ to consumer for a wide range of products,” he noted. The increased complexity and number of “handlers” in the e-commerce supply chain increases the potential for product damage, which can impact “brand image with customers,” Gruber said. In e-commerce there is “no intermediary to filter transit damage” and the “consumer must deal with ‘end of life’ for packaging material,” Gruber said. He said omni-channel delivery is blurring “transport” packaging and will “alter the design process for boxes.” Box requirements like vertical compression strength may be less important for individual packages moving through the e-commerce supply chain to households than for delivering multiple products to a store in a unit load, he noted. ISTA recently published an RFP to develop a test protocol to predict package performance in e-commerce for retailer shipping systems. The group has also developed an “E-Commerce Exploratory Team to establish common practices within the e-commerce supply chain.” Major e-retailers such as Amazon and Walmart, major brand owners, and carriers are initial participants. “There is a lot of opportunity for the corrugated industry to create packaging designs around e-commerce fulfillment,” Gruber said. 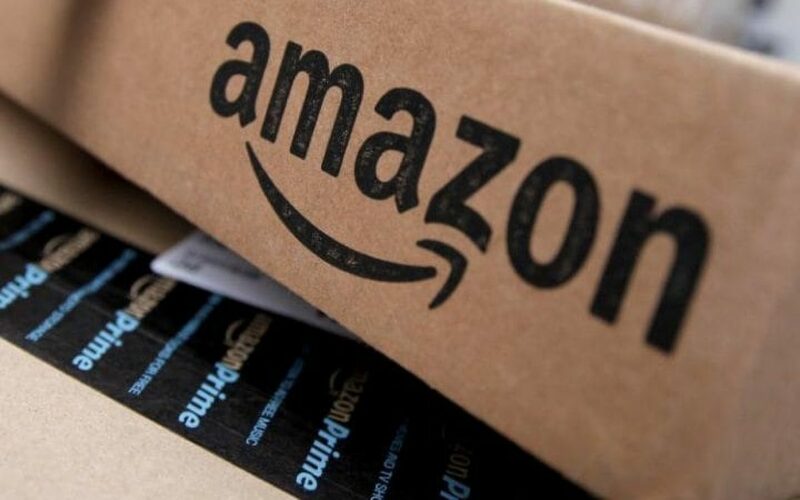 Step change in the market.Providing a producer perspective, KapStone’s Joe Hodges, who is the company’s strategic account mgr for Amazon, noted that he expects e-commerce in the USA to grow at an annual rate of 8% over the next five years and account for 10% of total retail market by 2018. But it’s still hard to judge e-commerce growth in demand for boxes as “additive or overlapping current (retail) business,” Hodges said. Among ways e-commerce is a “step change” in the packaging market are more single-item shipments vs larger quantities moving through the retail supply chain and more frequent shipments. “Consumers are no longer shopping once a week, but daily, even hourly,” Hodges said. For producers, there is more demand for smaller and specialty boxes, and need for an “increased service model,” according to Hodges. “Lead times of two weeks are a thing of the past and our industry has to react to a compressed supply chain with 24-48 hour lead times around new consumer behaviors,” he said. Significant demand spikes in e-commerce particularly around the holidays are a challenge in forecasting demand, Hodges added.